Surprised you didn't have this (pretty popular despite a Stereo Record Guide no.1 review) - and not 'valuable' these days). Very fine playing - though the transfers could've been better (not much difference compared to the 24bit that nobody wants). 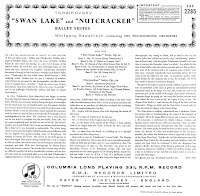 Can't think of other Not on CD stereos from that time - unlike some RPO Tausky/Kletzki: various Overtures that first appeared on 45ep's. Lots more Columbia's, of course. 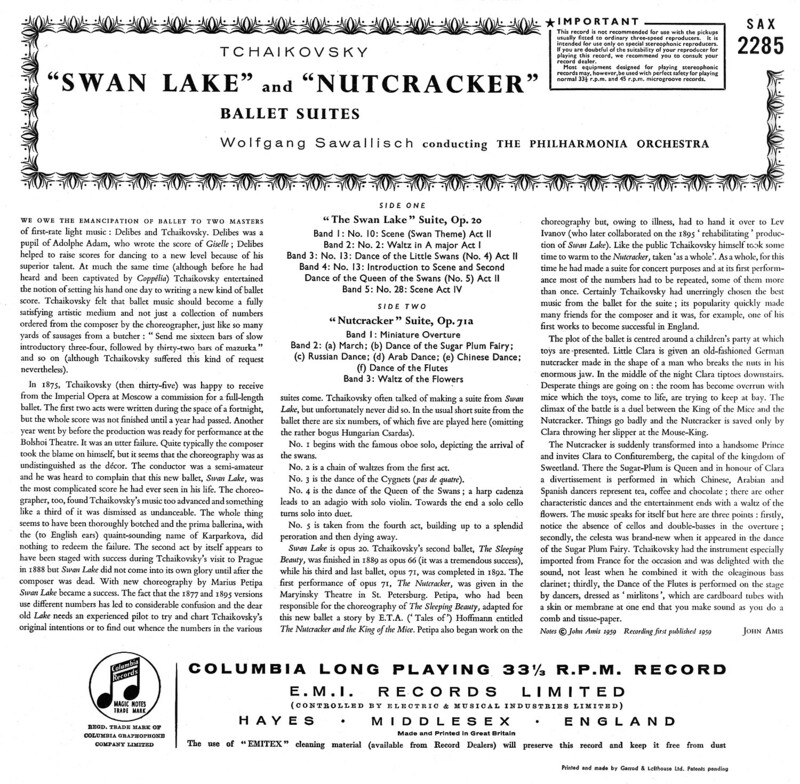 Someone mentioned the 1958 Joseph Levine/Ballet Theatre version of Swan hadn't made it to CD:- so will give it a spin on the Dansette. Nice! Thanks for this, Frank. Hadn't heard these performances before. 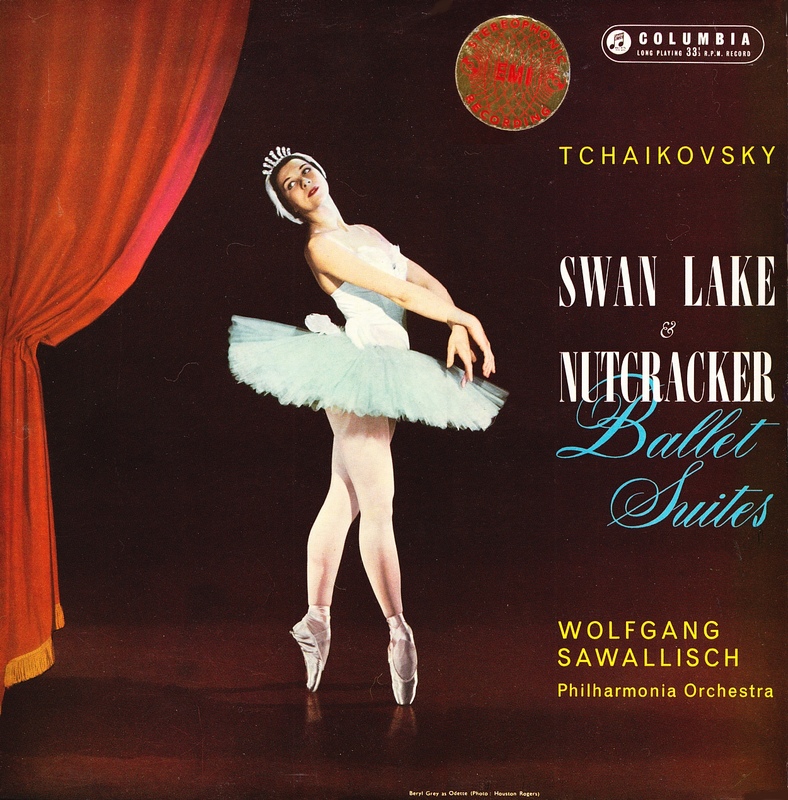 Preferred this Swan to, ie, BPO/Rostropovich. The only weak-spot (aside from the early mastering vintage) is the diminuendo side-ending...the Karajan/Philh (SAX 2306) instead ends with the Act.3 Hungarian Dance. Dumped the 24bit files hereabouts as have finally given-up on the other blog: which saves me bothering with post '63 recordings..